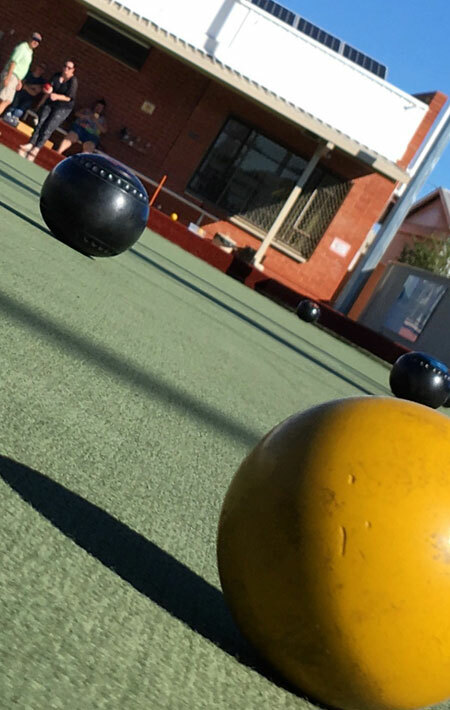 There are many opportunities to join in a game at Payneham Bowling club such as social bowls games on Mondays or Fridays. If these times don’t suit or you just want to come for your own roll up, you can contact us to arrange a time to use our greens. For $7.00 per person, we can provide equipment and a rink. Just bring your flat shoes and a hat and you can have a go. Lawn Bowls is suitable for all ages that can aim a bowl. This means it is great as a family friendly activity, and the kids can get involved too! We have some kid friendly bowls and games so don’t hesitate to book after school, on the weekends or in the school holidays. Don’t worry, we will show you, and the kids,how to play.